* Can a person Make a living with this stuff we do? Need help figuring out how to work with images in your forum posts? Got questions about Genesis use in Carrara, DIM use for installing? * Lighting presets for artists and dummies Freebie! * Want faster, more efficient renders and/or better lighting? * How do I import video as a background in Carrara? * HDRI Anyone know where I can find cheap (or free) HDRIs? * Physics for falling leaves? * Why do my objects hop at the start of physics simulation? * Growing a vine or spline? * Texturing booleans_is this a bug? * Smoothing in Carrara how does it work ? * Tesselation in Carrara on an abritrary position like in Heyagon? * How to create a Triangle Primitive in Carrara? * Joint rotations of bones? * Does anyone use Carrara for Modeling? * How do I center the hotpoint of this object? * Exporting UV mapps in Carrara?? * No bump with Lux in carrara shaders? * Carrara shader - fade to transparent? * How do you Bump ? * Please release Genesis Elite Maps for Carrara. * Suggestions on how to do a wet skin shader? * How do you create realistic ocean? * Does anyone have a carbon weave shader they wish to share? * How can I Create a Circular Texture? * 3D Painting on objects with shaders? * How do I add a custom brush to Carrara nonphoto renderer? * Animation and Compositing in Carrara? * how do you place gun or any object in the actors hands? * Commercial Poses translate whole figure in xyz coordinates. Any solution? * How to save a pose in Carrara? * Can Carrara 8.5 beta play animations made by ds timeline? ... Yes. * Universal convert from Angles to Quaternion? * Hair - Fur - How do I? * How do I simulate fur? * Can Carrara's Dynamic Hair be used outside of Carrara? ...No it cannot. * Rendering a 360 “skybox”? * What Percent of your finished art get’s shown to others? * How does one learn to be a Carrara programmer? 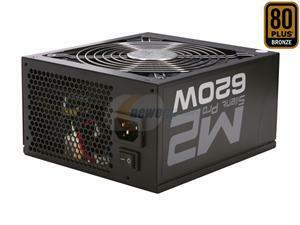 * Best hardware specs Carrara v8.5 2014? * Install Manager through proxy? * export OBJ with skinning and morphs not working? * How to go from Carrara8.5 to Daz Studio4.5? * What do I put on a NAS for network render? * Anyone using a monoprice Tablet with Carrara? * Quicktime 29.97 broken in 8.1.1.12 ? * Cararra * Pro Bug Ridden? * After Effects plugin still work? * Want fluids for Carrara? Try PyCloid!!! If you like it, please don't forget to Donate! * Luxus for Carrara released! * just a little more detail for Fenric’s weight map utility? * Project Dogwaffle and here are Dogwaffle Video Tutorials - Playlists Very entertaining and informative! * Post work lip sync, anyone? Check this out! * How do I load Carrara 8.5 native content? * What’s like the best option to export file from Daz to Carrara pro8? * M4 Skeleton has red bounding boxes in render, how do I remove them? * Morphs Work In Poser, but Not in Carrara? * Carrara 8.5 beta (172): how to fit dynamic clothes properly? * How to generate INJ/REM? With Carrara or DS4.5? * Editing Victoria/Genesis in the Vertex Modeler? * Anyone else try the Homo Erectus models in Carrara 8.1? * How to export custom rigged to Daz Studio 4.6? * Is anyone using Carrara and Lightwave? * Can Carrara work with Marmoset Toolbag 2? * Screensaver for Carrara scenes? 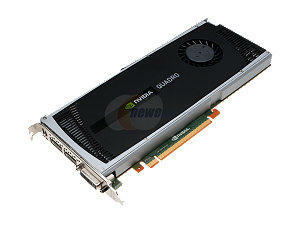 * GPU RENDERING for Carrara has Arrived!!! - Thanks CASUAL! * Carrara scene back to DS? * Carrara vs Daz Studio? * Anyone using Pepakura to “sculpt” real 3d models from Obj files? Best Poly reduction software? Added to the Helpful Threads from the Old Daz3d Forum Section - (Here), formerly listed as "Old Daz3d Forum Links"
Also moved that heading ("Helpful Threads from the Old Daz3d Forum") up in the Table of Contents list for better visibility. Updated a lot of information found in the Forum Threads Index of “Help!” Topics page. Please make requests If there are older threads that you'd like to see listed - or that you think would be helpful to others. I am currently avoiding those that turn into bickering contests without an abundance of user help. I just wanted to say thank you for all the time and effort you have put into these forums and Carrara information you have put together pointing to everything! At last I can write here! Carrara is actually quite friendly to Windows PCs. I wish I knew something about Mac systems, but I've never even used one. If I can get some good information together regarding Carrara and Mac, I'll gladly do a nice write-up on that as well. In the meantime, those of you wishing to buy or build a PC, or even upgrade the one you have, you've come to the right place. I'm no computer expert, and I know nothing of code, networking setups, etc., but I have built my own PC's the last three times I've needed a new one - and each build was a great success - and I've learned a lot about building one for Carrara this last time, yet there's still more that I wish to discover. - More cores - The higher the number of cpu cores you have, the faster the render - period. - Fast cores - The faster your cores the better, but this is secondary to the above. 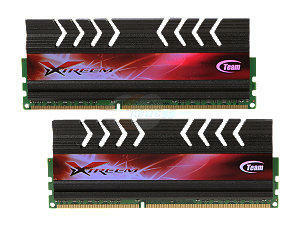 - RAM - just make sure you have enough RAM to keep your cores fed. If I’d have gone with 16 GB instead of 32, I doubt that there would have been much difference in render times. - DazSpooky says: “Use a solid state hard drive” the speed of file delivery is an outstanding improvement. Last time I checked, this was not an option for me. Still too expensive to get enough storage to hold my runtimes and Carrara files. Maybe next time? Make sure that if you go with more cores that you increase airflow or other cooling as well - as more cores means a LOT more heat. I got a great deal on an Antec thee hundred 2, which has a fan slot (comes empty by default, which still helps) on the back side of the motherboard. I enjoy my parts staying clean - so all of my intake fans are filtered. To keep noise down, I went with several low rpm 120mm fans. Four filtered intake, three exhaust with a 230mm silent fan exhaust on top of the case. This might seem like a bit of a vacuum. But there are other fans blowing in there and I feel that my intake/exhaust ratio is pretty good. And it is quite quiet compared to my last build with a thermaltake V7000 case which came laced with 90 and 80mm fans everywhere - all intakes came filtered. One day I’m going to fix its broken switches and put that beast back into operation. Big Blue is one beautiful, and cool-lookin’ case!!! Perhaps as an eight core render node? Kevin Sanderson (fine chap) has pointed out that a great graphics card, like a top-end GTX, means all the difference in the world when it comes to interface performance. I cheeped out on mine, but it still came with good stats on the latest OpenGL at that time. I’m loving my set up so far. I have a lower end GT Fermi Edition sporting 1GB DDR3 @ 1700MHz, with only 48 CUDA cores @ 810MHz, and 1620MHz on the Shader clock. Thing was cheep as a box of nails but works like a dream. Nonetheless, as I upgrade my machine, I’ll be looking closer at the PNY workstation offerings - which cost as much, if not more than my whole workstation by themselves. I think that their big claim to fame comes from their impeccable OpenGL capabilities. We’ll see. Woah check it out! There's a picture of my tiny cpu workhorse! (Top image below) It features Eight, 3.1Ghz processor cores, to say the least! These new chips have plenty more going for them, as if that isn't enough! In this world of 3d art and animation, we eventually crave a computer that can help us work faster, more stability, and all around more efficiently. For the last few years I've been enjoying building my own PCs, which has brought me the good fortune of getting the actual computer components that I really want as well as keeping my pay out much lower than it would have been otherwise. It may seem scary the first time, I know I surely was intimidated. But when it all comes down to it, the process is much easier than building a good model or assembling a 1200 piece puzzle. You just need to know where and how to look for all of the parts that you need, and use good sense during assembly - like, not to create any static electricity as well as taking preventative measures against finding any along the way, for example. In fact, if you lack the dexterity to do the actual assembly process, perhaps someone you know would be willing to lend a hand. It really is as simply as plugging everything in where it goes. As with most of what I can write about, this really only pertains to Windows-Based computing, as that's all I know. To my knowledge, a MacOS machine has to be purchased that way, and I know nothing of Linux, but the main building procedure should be the same. If this starts to sound like an advertisement for Newegg.com, it isn't. Just that, during my research, I tried to find a place that had everything I need to buy so that I could save some cash on shipping - besides, it's really nice to get all of the stuff right around the same time. Believe me, once you start down this process, you start to get this exciting feeling in your gut that doesn't go away... even as you're firing up Windows for the first time on your shiny, new computer! Also, as I searched the internet for the best prices, the best links I could find elsewhere were all slightly more expensive, plus I couldn't get everything I wanted in any one shop (Newegg, being the exception - not to say that others don't exist). For someone like me, I need a place like Newegg, because that is where I do most of my actual designing. After I finally decided this, I settled down and created an account. It doesn't obligate you to anything, but it gives you an incredible My Wishlist feature - where you can save several lists with custom names. So you can (and should) make several 'builds', each with their own custom wishlist. This way you may easily weigh the differences between price and quality, this style or that, etc., Plus when it comes time when something new comes out or certain items become unavailable, if even temporarily, you have a speedy way to make a switch. With that done, let's go shopping! In this modern age of computing, the tables have really turned. Before we had to really watch our purchases as you never really knew if you'd get a product that isn't really up-to-snuff. Nowadays, you can buy the least expensive laptop from pretty much anywhere and it'll last you for years. Buying PCs is like that, too. Technology has grown to a point where you can expect to get great pricing on some of the best new products available. 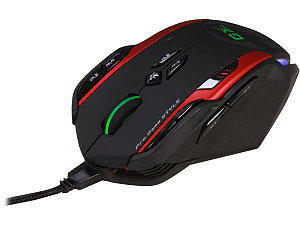 What we're looking for is a bit more special that the average gaming device. I used to build my rendering machines based upon a gaming PC, with the mentality that if you can run high-end games, you can run anything. While this might be somewhat true, it doesn't entirely apply to Carrara or most of the other 3d rendering apps - and it certainly won't get you the best deal for the fastest render speeds. Know this now. I am no expert on this. But I've done it before - and most successfully, too, I might add. Carrara would rather have a quad core processor than a zippy video card. This is not to say that the graphics card won't help. You want a good, solid card that can really turn out good OpenGL results - but in Carrara, it won't help at all with rendering. Times are changing, however, and GPU (graphics processor unit) rendering capabilities are becoming a reality - but Graphics cards are an easy upgrade if you choose wisely on a good motherboard, but we'll talk about those a bit later. Quad core isn't the top dog anymore, either. I have an AMD Eight Core Desktop processor. Garstor uses server class stuff, which I am incapable of talking about at this point. Too bad, too. Because server class motherboards allow two, possibly more by now, processors on the same board (in the same computer). So two eight core cpus would give us sixteen cores, which isn't just twice as fast - it much faster than that! That being considered, I make cpu (central processing unit - or processor) options my first priority. Since we're build a desktop PC workstation, I'll try to avoid bringing up server-class parts. For that stuff, you need to look in a different category at Newegg, which is good. 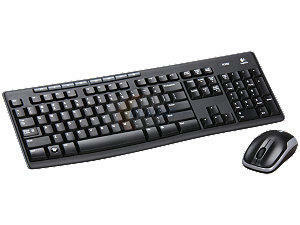 Server-class and desktop parts are often not compatible. In my search for a cpu, I have a few things in mind that I'm most interested in at first. Once those criteria are met, then I'll look deeper at the products themselves and make sure that it would be an acceptable choice, like customer reviews, and other consumer specs. For a Carrara workstation, my first glance goes to the number of cores and the price, all at the same time. I am always working under an impossibly tiny budget, so I have to make do within the lowest prices I can find. If cost is less of a concern, you may feel free to drop that part. So I check both AMD and Intel processors in the 'Desktop CPU' category and look for the biggest bang for the buck. In my case I really lucked out and was shocked to find an eight core processor at a very affordable price, through AMD. The very next thing I check is the slot configuration. This is how the cpu connects to the motherboard. Usually noted by a code name, otherwise the number of pins. This is how I'm able to check the availability of compatible motherboards - which is the next thing on my list. Picking out a good motherboard begins with sorting them by the cpu connection type, as mentioned above. Once this criteria is met, I begin looking for the maximum amount of (and the type of) RAM the board is capable of handling. I never want to spend money on multiple cores only to have them sitting idle due to a lack of rather affordable RAM, which we'll shop for next. This may seem funny, but if you don't pay attention to this detail, you could end up getting excited over, and buying, a motherboard that can't use all of the RAM you've bought. How embarrassing! Once this is out of the way, I look next at the video card compatibilities, number of SATA(newer, faster hard drive/disc drive interface) connections, USB connections, what kind of features it has in general. I try to save money, but I also try to get the best motherboard I can, even if it means that I have to find a way to increase my budget. 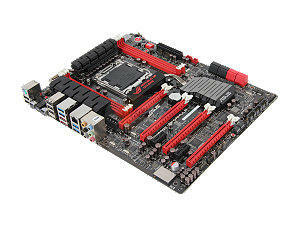 The motherboard is the information highway that gives your cpu direct control over everything in your system. Together the cpu, motherboard, RAM, and your primary Hard Drive make up the brain of your computer. These parts should get major consideration. Something that I've just seen is the new cpu product line from AMD that combines cpu and Radeon graphics card right in the cpu chip! Definitely requires some looking into. If this allows Carrara and other multi-thread enabled software to utilize the 384 Radeon cores... yikes! I like the idea of RAM that includes some sort of cooling assistance - like heat sinks or something better. I only use heat sinks. Nothing separate to install - they come built onto the RAM boards. It's likely that my extremely cool case would keep unassisted RAM cool enough, I think of the fact that I'll sometimes have renders go on for longer than a day - sometimes even three. As rare as this may be (for me) I like to feel confident that my precious parts aren't going to melt when I push them hard. As I've mentioned what Kevin was saying, I think that many interface graphics issues can be helped, not by the greatest gamer video card so much as the best card at OpenGL, as that is what the workspace view uses. The one he ended up getting IS a fantastic gaming graphics card -and that is a great place to start looking. But other than that, Carrara doesn't really need a great card. I was looking for something inexpensive, and that's what I bought - which just happened to be a really good video card. Sometimes you find amazing deals just at the time that it comes to place the order. If you have the time, do a quick check through each category of parts that you may have had to compromise on due to budget. Sort stuff from lowest first and see if a better deal awaits. Otherwise, when I'm shopping for the parts in the 'design' phase - where I may be slightly less concerned at price in lieu of discovering what's available, I'll often sort items by consumer ratings. Especially when it comes to motherboards - be aware that often the most expensive, 'elite' board might not be as well suited to your needs as one that costs a fraction of that cost. Some features that are perfect for advanced gaming may have nearly no effect on Carrara-oriented work. If you game on your workstation, perhaps you want something like that. I use mine for everything that has to do with my video production which includes Sound, Image, and Video editing and mastering along with basic internet and various handy utilities that aid in the dealing with content purchases, installation and management. I've also just noticed that many companies, several of which are big RAM makers, are now making SSD (solid state hard drives), which have no moving parts - which makes them faster. 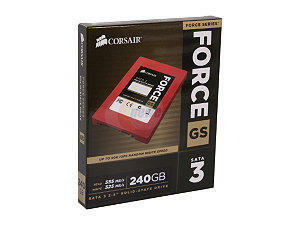 When shopping for hard drives, I like to go large. As large as I can afford - and as many as I can afford. I'll often dedicate an entire drive that I'm not using any more strictly for Temp and scratch disk use. Then if I need a temporary spot to toss some files to... there it is. I'll take a good, fast internal drive over external hard drives any day. The ultra-fast connection of SATA over USB makes a big difference when it comes to accessing runtimes and other vital information. Keep in mind that the textures for all of your runtime contents are in that runtime folder. So unless you save all assets completely when you save to a faster drive, you'll still need access to that runtime folder at render time. Good external drives are essential to me as well, though. I need them to help pass files and information from one computer to the next. Internet cloud drives are on the frontier right now, and will likely help eliminate such a drastic need, but now that their prices are low, I like to collect 250GB and larger portable hard drives when I see them on close-out sales. I use SATA 6GB/second internal hard drives. When I bought my 8 core Zambezi processor from AMD, Spooky bought the higher cost version Zambezi, too. He claims that the SSD's are the way to go for D|S, Poser, Carrara, etc., I think it would make for an interesting test to see how much performance difference there actually is. I know that I can really tell when my external USB drive is connected. It totally slows down the system drastically when something decides to have a look at it's contents. Which, for some reason, often happens when loading contents from a runtime - even though my runtimes are internal. Still... the system will pause, and I'll hear that external drive spin up and start responding its thoughts back. 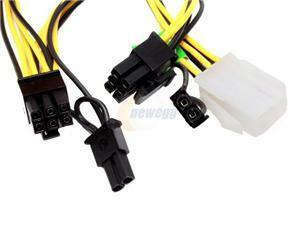 Something else to keep in mind - it's a good idea to keep slower drives unplugged from the workstation when not needed. Innards are the primary concern. If all you can afford for them is a cheap case, or use an existing one, do that. My genius brother always told me not to spend any extra on a fancy case - put that money into the system instead. My first build ignored his advice, which has been to my benefit ever since. I prefer to seek out a case that comes with gamer-class cooling built in and, just as importantly, filtered intakes. I get nervous when I approach my tender electronics with canned air or the end of a vacuum tube (recommended by many PC experts over compressed air - but be mindful of static electricity and bumping fragile parts) so I opt for budgeting in some extra cash for a good, solid case that isn't going to cut me to shreds as I install my components, has filters where the intake fans go, and comes with at least two 120mm fans. I look for other features as well, and it's quite difficult to find a case that has a side panel intake, that has a filter there. Not a big deal. I simply order an extra filter or two or three from whatever selection they have available at the time. External interfaces, like USB, Firewire, Audio, etc., and their placement on the case could easily be of a big concern to some of you as well. Go for it. Find a case that matches what you want and how you work. The fact is, building your own will save you enormous amounts of money, so you might as well make it something that you are ultimately pleased with using. A few posts down, Evil Producer highlights some Mac Machines that are currently available at this time of writing. Keep in mind that, although I don't have a support line to send my computer to to have it fixed, nor anyone to call who knows how my machine is configured, I built an Eight Core (3.1GHz per core) PC with 16 GB of RAM (heat sinked), a 1 GB DirectX 11 GT520 Fermi-class video card, 1.5 TB internal Primary hard drive, DVD multi burner/drive, Military Spec Motherboard with 32GB Ram capacity, No mouse, keyboard or monitor, as I have those already, A very high quality Antec three hundred - two case with filtered intakes, extra fans and filters to fill all available slots in the case, Windows 7 Home Premium 64 bit (no use for the Pro added features that I know of), Sony Home Movie HD Studio Platinum Suite, which also includes Sound Forge and DVD Architect all for less than a thousand dollars! Like I said earlier, I know nothing of Macs. I do know that I am the only one of my parents children who doesn't have a Mac. The rest use them almost exclusively. Everybody I know who owns a Mac will likely remain Mac users the rest of their lives - which definitely says that Apple is certainly doing something right! But these saving are what will keep me in a PC for the rest of my life as well. Not just the cost savings either. 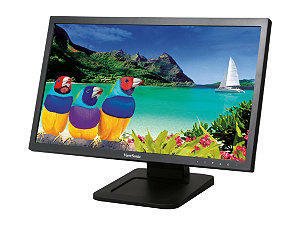 Once you start down the road I've described - even if only at Newegg - you'll see the amazing choices available. I tweak my designs around what makes all of my software happy - and it works! 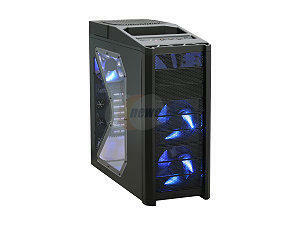 ++ Exception: The Case in the image below, with blue fan lights, is a larger, more stylized version of mine. I opted for no side window and no colored lights. Mine, being a smaller unit, also does not have the sloping top - but it did come with all of those big fans, including the roof-mounted giant - a 230mm exhaust fan! 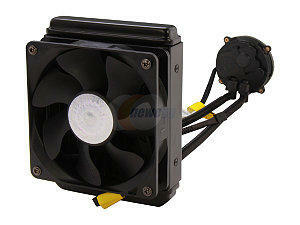 The two big blue fans in front, as with the rest in the case, are 120mm silent fans. The case is very quiet. With limited time, it's frustrating to leave this article in shambles, but... it is what it is, and real life always has to take precedence over my fun typing time. Please know that I'll be back. If you have any questions regarding this or other subjects within this thread, please post your concerns. Before building my current workstation, I was checking out the various options for purchasing one of the custom units from Workstation Specialists. They have a good lineup from workstations to render nodes and more. Another option (and there are many) would be to get a rather affordable rig from Dell's Worksation Lineup. Personally, I enjoy picking and choosing the parts that I feel will suite my needs best, and saving a bundle of money, building my own as in the article above. However, purchasing a workstation has the added benefits of pre-loaded software, often of your choosing, and support for those times when something just goes wrong. On that note, I've never had any issues with the reliable service and warranties offered at Newegg.com either. But for solving compatibility issues, you have to either solve it yourself, plus I've found that the parts manufacturers are usually most supportive on that front. Before making any final decisions, however, please remember to consider the tips in the quoted area of this post. And from the Mac user's perspective ;-) :There are deals to be had and things that you can do to a Mac as well. iMacs, Mac Minis, Macbooks, Macbook Pros and the Mac Pro towers are all fine machines. The towers are the easiest to upgrade and will probably work best for heavy hitting 3D work. I use an Intel dual core iMac from time to time and it is very capable as well. One of the best ways to save money is when buying or ordering your Mac. Get the Mac with the default amount of RAM and buy a good quality RAM from a 3rd party vendor as Apple charges an arm and a leg for RAM. Another area to save would be to buy your own HDs. As of the date of this post, the base Mac Pro Tower sells for $2499.00 (US) and has One 3.2GHz Quad-Core Intel Xeon processor. Upgradeable to one 3.33GHz 6-Core Intel Xeon processor. The base Mac Pro supports up to 32GB of DDR3 ECC SDRAM memory in four slots, and comes with 6GB installed (3x2 GB). The base Mac Pro ships with a 1TB 7200-rpm Serial ATA 3Gb/s hard drive. The Mac Pro includes four drive bays, allowing you to configure it with up to 8 terabytes of storage using 7200-rpm Serial ATA 3Gb/s drives, up to 2 terabytes of storage using high-performance solid-state drives, or any combination of each type of drive. I am still working on setting up all the machines around the house for network rendering. But you could have a nice mac for all the things you do with it and still use pc rendering machines as well. (I think at least LOL). I am sure my wife will ask me as she has been getting a bit more interested in exploring Carrara. Something else is that there are sometimes runs of 'refurbished' (sometimes they are even new) when a model is changing or changing specs but staying the same model. I just got an upgrade to my system that is 5 or 6 years old. 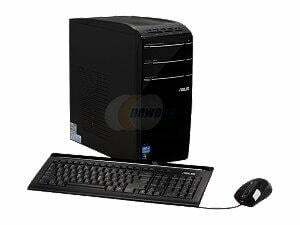 A Dell 8500 Intel Core i7 3770(3.40GHz) 8GB 2TB HDD Capacity NVIDIA GeForce GT 620 Windows 8 64-Bit. I will swap my video card and add some more ram to the system. It was on sale for 699 (I opted for the 2 year warrenty that made it a little more), but 50% off its list price. Something fun to help me see what's so special about those things. Trying out someone else's just isn't the same. For an entire OS switch, like that, a person needs time to just look around, explore, and discover its secrets. Current I'm just not rich enough for such a thing. When I can go out and buy a 64bit OS on a little netbook for $200, it makes a Mac purchase that much harder. * "Error when trying to import various content…smart content tab, error states a path not on my system..or ever was? anyone know Hudson?" * "Carrara scene back to DS?" Trying to open a Carrara scene in D|S? * "3D Universe toon hair - how do I get it to move properly with the head?" * Genesis Content Installation tutorial - Requested, and then fulfilled by Stezza! * What’s the trick building Carrara scenes from parts with Genesis1/2 chars? * Does Smart Content not work with non Genesis figures? * Installing content using DIM in alternate locations? Much more work to do. Relatively soon I'm planning to record some helpful tutorials to help to teach Carrara within these pages. In the meantime, try checking out the tutorials links and the various articles I've written. I know reading long posts like that can irritate some folks, but they've helped many people in the past. The Custom Poser Runtime organization method has been a very popular solution to those of use in this hobby or profession ever since Poser gave us the ability to use multiple runtime folders to help us sort and organize our ever growing collections of content. This organization must take place during installation, without the help of some sort of external assistance or immense amounts of time ensuring that all files in question get moved to the proper location. P3dO Photo & 3D Explorer by SENO Software, is one such utility. I own the professional version, but only for adding my own image into .car files, not for a runtime organizer, which is where I'm loosing out by my own ignorance. P3dO Explorer is first and foremost an incredible re-organizer, capable of keeping track of all of the little intricate files that are associated with everything that must stay together - and that is the free version! But that's not what I came here to talk about. I'm here to demonstrate how powerful and easy the DIM is at performing installations to custom runtime structures as well as its own, default installation directory - which is mostly useful for Daz Studio, but also anything that utilizes the D|S database, the CMS (Content Management System), like the Smart Content tab in Carrara 8.5 beta. First of all, I'm here to tell you that you can use the DIM, itself, to create and maintain an elaborate custom runtime structure directly within the interface. It includes the option to Add as many installation locations as you like, and then install your chosen content to any of the locations that you create within. Similarly, you may also use the DIM to add content to a runtime structure that you already have in place. The only reason I would suggest a fresh start, is so that you can have the DIM update any files as needed, as well as maintain a complete DIM content viewing experience. However, if you already use P3DO Explorer, or similar, and only want to use the DIM to add new content, you can do that too. But the DIM only recognizes what you've added using the DIM, so you'd have to keep track, yourself, what needs to be added and what doesn't, because the DIM will show you everything you've purchased at Daz3d that the DIM has not already installed (and what was installed if you tell it to) in the available downloads section. A runtime folder is a directory used by Poser to organize where specific files and their associated files reside. Some folders, like Daz3d's ReadMe's folder, reside in the same folder as the runtime folder itself. Over the years, content providers have created their own places to put stuff within the structure, which can really make a mess of things. The basic runtime structure, itself, is very neat and organized. Back in the day, we could add as much content as we wanted to the Poser runtime structure within Poser, but it would only show the first 255 items in the list. So clever vendors, including Daz3d, began using the exclamation point as a prefix to their titles to get their items closer to the top of the list, as the Poser index shows "!" before anything else. This is why the entire Generation 3 figure and morph system is listed with those prefixes. Poser 5 gave the ability for users to add multiple runtimes. This gave us the power to actually access all of the content owned, but also had a much more useful side effect - it allowed us to create custom organizational folder structure to which our runtime folders where added. Older Daz installers required to "see" a 'poser.exe' file in the same folder containing a "runtime" folder to autheticate that you owned Poser. So we would create a .txt file and save the name and extension to "Poser.exe" to fool the installers! lol We don't need to do that anymore, I don't think. Especially not with the DIM - it is so fast at downloading and installing content, I get this bizarre feeling that magic is involved! Rinse and repeat for the rest of the people you've been collecting and a similar structure for vehicles and whatever else you may want to sort. Inside the Daz Install Manager, there's a small gear icon directly under the close program "X" in the upper right corner of the window. Click this to enter the configuration Settings. The "Applications" tab will show the actual program installation paths of the various Daz Studio software you have installed. These should not be changed unless they are incorrect due to installing your software to custom location. What we want is the "Installation" tab. By default, there's one installation path, which is a new Daz Studio content location. Daz3d professionals strongly suggest, whether you keep this default location or not, do not change this to the older "My Library" location where D|S content has always been installed to previously - or you may have problems that I'm not in a position to help with. So for now, leave that alone. What we do want to do in here resides in the lower left corner of the window, the plus "+" sign. Press that and navigate to a hard drive of your choosing and "Add New Folder". Give this folder a name. It is where all of your actual named runtime directories, as I've shown in the examples, will reside. Before hitting the "Select Folder" button, enter the folder you've just made, and make a new one. According to my vague example above (for sake of another example), I'll make an "Animals" folder. Now hit "Select Folder" on the bottom right. Continue making your new runtime structure in this way. Note that you never want to select that first folder that you've just made as a place to install to. Once you think your all done making your new runtime installation structure, it's time to try it out. Go to either your "Ready to Install" tab or the "Ready to Download" tab, and look over the list for a moment. This is where I want you to compare what you have available to download and install with the structure you've just made. If you think you need to add a new installation location, you may either do that now, or wait until later, giving yourself time to think about it. Right now I'm debating as to whether I want my V4 hair collection to be in a separate runtime, or just install it to my vague V4 runtime as I've always done in the past. It does seem to clutter up my V4 runtime, so I think I'll go ahead and do that. But I'll just make it a Gen 4 Hair, Gen 3 Hair and Mil Hair (for the Mil 1 & 2's)(Millennium 2 figures are basically an advancemant in technology and mesh to Millennium 1. The products made for either generally work on the other, which is why I group them together as one). Now go through the list and select all of the products that you want installed to a single, specific runtime location that you've created. Since these are Poser Runtime structures, I am only selecting the Poser files. Some of them aren't marked DS or Ps, and I'm selecting those too, because they contain files for both. If you're still deciding on something, like me with the hair idea, skip those for now and move onto something you're sure about. I'm going for Environs right now which, for me, even include make-up that goes on the vanity table, RX medicine prescription bottles, grass, trees, Skull Mountain, Sci Fi Complex, etc., I like it all in one convenient shopping mall of scene creation entities. But that's just me - you do it the way you want to. Now that I've selected a good pile of Environs files to install, let's make sure to head to the "Ready to Install" tab and ensure that we've got the right install path defined. Oooops! We don't! Lets go ahead and push the little arrow of the drop-down right under where it says: :Install to Where?" in the lower left. Look at that. All of the new runtime locations I've just created are right there! Let's make sure that there's a check mark in the box where it says: "Install product updates to their respective "Install to Where?" paths". Also, if you want to clear some overhead, While in this tab, you may chose to place a check in the box for "Delete Installer Once Installed". If not, you product installer will all be save under "DAZ 3D > Install Manager > Downloads" in your public Documents folder. Once the proper location is selected, and you've got a good selection of products that you want in that, specific location selected, head to the "Ready to Download" tab and check to make sure "Install after Download" is selected at the bottom, and press the "Start Queue" button, and amaze at the speed at which this awesome little tool works! In order to conduct this article, I wanted to go through the process myself, so I went into the "Installed" tab and uninstalled the stuff that I wanted to remove from my Daz Studio installation location, and reinstall to a custom runtime directory structure. Once something gets installed - a few seconds after starting the Queue, you will see the products in the "Installed" tab, where you will see another great feature of the DIM. We now have a page that is one, long list (none of this 'show 10, 20 or 50 items at a time) of the products installed - no matter which location. From here, starting from left to right, we see the actual name of the product as we'd want to look for it, not the product ID. Next to each item is a selection box. Next over is a column called "Smart" which indicates whether the product is seen as Smart Content. For these runtimes if, like me, you decided only to install Poser (Ps) files, the only items that will show as Smart, are those that are not labels as such, I believe. I'm fairly certain that the metadata is only included in installers that install Daz Studio files. If you now direct Daz Studio to any of these runtimes, anything labeled as Smart in this column will work in Smart Content as well. 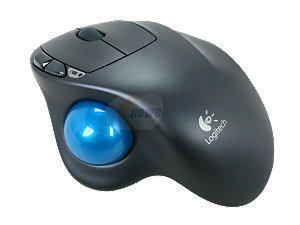 Next we have a circled letter i, which displays the Read Me for the product when clicked. That's awesome! It's in one list, without having to dig through your runtime folders - and right there is all of the Read mes. I think that's cool. And finally we have the column that allows you to easily uninstall any of your products. If you want to perform an entire overhaul, you may check the top box above the list on the left, and uninstall everything in very short notice. It's amazing. Above the Uninstall column is a handy sort list feature if you'd like to change the order in which your products are displayed. Well that's my walkthrough for designing your own runtime folder structure. I hope you've had fun and learned what you came to learn. If you have further questions regarding this stuff, let me know. Now that I have the finest content manipulation software in the world, it's far time I go in and get used to this shiny new software! In this article, I'll give you some good tips on how to get around the work space, go to where you want to be at specific times, and how to send stuff to specific locations within your scene, so lets get started. To help to illustrate my point, I'd like you to move the camera, while still in Camera 1. Any adjustment will do. You can tell which camera you're currently using, or select a different one by the text on the top left of the scene view. Right now it should say "Camera 1". After moving the camera, type Ctrl Z (Cmd Z on Mac). This is the shortcut for Edit > Undo. Notice how you just performed an 'Undo' operation to your view? This can be handy when the work that you're performing is strictly camera related. But if you're working on an animation, making a lot of subtle or dramatic changes to the joints of a figure, you'll want to keep your undo buffer free of camera movement data - so when you undo and action, or several actions, they are all about your joint rotation, not the view of your camera. That view will not do! Yikes! Go to the same camera selection text, click where it now says: "Director's Camera" and select "Set Position To" and from there, select "Camera 1". Now we have the same view we would have through the production frame of Camera 1. More on the Production Frame later. Now that we're looking through the Director's camera, go ahead and move around some and then Ctrl z to undo. What was just undone is something else, entirely - not the camera movement - because the Director's camera cannot be animated - it cannot create key frames. I work in the Director's Camera any time I'm not working on Camera angles. Now lets explore another key tip regarding navigation. Go to the menu list on top of the window and go "Insert > (scroll down to just three items above the very bottom) Target Helper Object". This appears in your scene as a three dimensional X with another X perpendicular to it - well... sort of. Before I forget, select the Target Helper Object in the instances tab on the right. Now look in that same panel, but toward the top of the screen where you have a selection of tabs to choose from, and select: "Effects". Here is where you can change the size and color of the Target Helper Object to your liking. This object can never be rendered, meaning that except for within your view of the scene, it is 100% invisible. While this thing is selected, when you rotate your current view, it will rotate around it. This applies to any object within your scene. But the big difference is, no matter how big or small you change the Target Helper Object to, it is always considered to be a single point at the center as far as your view is concerned. Hence the name: Target Helper Object. Tapping zero zooms you to the selected object at the current viewing angle. Some objects are very large, so the zoom might back you very far away from your current view. Now, click your mouse into the tool just above the Pan(ball with cross arrows) tool we've seen in the camera movement example above (left tool bar), and ease your mouse backwards, toward you. This will zoom you back out. Select (left click once into) the very top tool in the tool bar on the left. The one that looks like an arrow pointing Northwest. This is the translate tool and is used for moving objects within the three dimensional space before you. With that tool selected, practice using that same camera track tool without deselecting the translate tool. I need you to back off away from your Target Helper Object enough to move it fairly significantly, but not too far away. Got it? Did you accidentally deselect the translate tool? If not, you'll still see the colorful arrows coming out of your Target Helper Object in the three directions. Go ahead and use the translate tool. With both it selected as a tool, and your Target Helper Object selected in the Instances panel, use the colored arrows on the object to move it somewhere away from its current position. move it several times if you wish but try to keep it within the current view, and we want to see the center of the scene where your Target Helper Object was before you moved it. Got that? Okay. Now go Insert > Target Helper Object again, which will place a new one in the center of three dimensional space within Carrara. This location is known as 0,0,0 which means 0x, 0y, and 0z, the absolute zero within 3d space. Okay, select your first Target Helper Object from the instances tray. The one you've moved away in the previous step. With that one selected, hold down your shift key and select the new Target Helper Object you've just added to the scene, then let off of the shift key. You should now have both Target Helper Objects selected. You could just drag/select in the instances tray if all you wanted to do was to select them both, but not for this example. Hold down Ctrl key and tap "k". In the menu that pops up, you'll see the three arrows like those that you use with the translate tool. One is darker (y), meaning that it's selected. Select the rest of them and hit "OK". The new Target Helper Object just jumped to the exact x,y,z, position as the first. This is a great way to get things from one location to the next. I've never experimented with any of the many options within that Ctrl k popup menu, but it looks powerful! Notice that if two or more objects are selected, no mater how far away from each other they are, the camera will detect a common center, somewhere... and use that to rotate around. Sometime this can be incredibly difficult for navigation. If you ever need a view rotation aid, don't forget your good friend, the Target Helper Object. Insert one and drag it to where you want your view to pivot, and there you go. This is a listing of makers of Carrara plugins, FAQ for certain plugins they make and some additional information to help with those plugins that isn't found in another part of the Carrara Information Manual. Some FAQ do contain some information that can be found in other parts of the Carrara Information Manual, this was done so that jumping around to different parts of the Carrara Information Manual could be keep at a minimum Not all plugins have a specific FAQ or extra information given for them. 1.) If you are using Windows Vista, 7, or 8. Make sure you are logged in as an Admin and that you run Carrara as an Admin when you go to enter in your serial for the plugin. 2.) Many of the sites that have online tutorials for Carrara plugins have links in them to files that are imbedded in text. in the tutorial that can be easily missed and may have some larger versions of images if you click on. Not all images may be larger sized ones and you could see om the same website several tutorials with no larger image links, some that contain images with no links to larger images and other images with links to larger version, and some that have larger image links for all images. This is useful to remember if you want to if your going to download tutorials and want to have every thing the site it was on had. 3.) Plugins files are in most cases installed to your Extensions folder located in your Carrara program (application) folder. Read Me files, plugin specific shaders, scenes, etc. you'll put in the appropriate folder that similar things go into. Shaders go in Shaders, Scenes go in Scenes, etc. Do note that the After Effects plugin is a plugin for the After Effects program and not the Carrara program. See the specific FAQ for it in. 4.) You need to put a copy of the Extensions files for a plugin in the Extensions folder in each render node program (application) folder you have in your render farm. Some plugins have special versions of the Extensions you use for a render node, while others don't. Q: Does Infinite Skills Inc. products cover using any of these. A: Yes, some are covered in those videos. Created & sells the Brianorca's Ocean Plugin for Carrara. Q: How do I know when the plugin is updated and get the newest version? A: Updates are emailed out when the plugin is updated. Has several free Windows 32-bit plugins for Carrara 8. Windows 64-bit and Mac version don't exist. OlderCarrara version can be gotten for Windows only too. The C8 versions of the plugins are untested. Several meshes and skeletons for the PSK Export plugin can be download by looking in the Carrrara 7 description of the plugin on the website. DAZ 3D makes several additional plugins for Carrara that you can get at the DAZ Store. DAZ 3D has numerous YouTube videos showing of the software and models they make, plus many tutorial videos. Q: How do I get the latest version of one of those plugins. A: Reset the product in you DAZ Account and re-download it. Q: I can't find the PC .exe file to install it. A: It doesn't have a .exe installer. It is a manually installed. See the Read Me in the .zip file on how to install and use it. Do be aware that the PC .and Mac each have a separate zip with a version for them. Q: Do any tutorials exist on how to use it? A: The The Carrara 5 Pro Handbook, by Mike de la Flour has a chapter written by David Bell and Lisa Yimm on using it with After Effect 6.5. Q: Z-Brush and now the plugin isn't working. What do I do? A: GoZ for Carrara can not be working for several reasons. In most cases it isn't working as something isn't set up correctly or something got messed up if it was working before and isn't now. in cases of the later this is because Z-Brush was just updated and needs to be st up again or something was deleted during the update. 1.) In Z-brush do this first. b.) Select GoZ and make sure that for Carrara it is pointing at your Carrara program. Manually tell Z-Brush were to go as having Z-bush automatically find where to point may result in X-Brush not pointing at it for some reason. Even if Z-Brush is showing that it is pointing at the right place for Carrara do this as the set up can fix things even when the location is showing to be correct.. 2.) Try using GoZ while in Carrara if you can't get it to work in Z-Brush. 3.) Reinstall the plugin and try doing 1 & 2 again. You may have deleted one or more files or folders. This tends to be the case if you just updated Z-Brush as it is advised by Pixologoic to delete certain folders before you run the nw full installer or patch for Z-Brush. Q: where is the GoZ for Carrara Manual and Read Me located? A: They are in the folder titled GoZDocs in your Carrara 8 program folder. Q: Does it work with Genesis. Q: Where is the instruction manual for the plugin? A: It can be found in the program (application) folder you installed Carrara into in the folder MimicProDocs. Q: I have a figure that in DAZ Studio, Mimic Lite, or the stand alone version of Mimic Pro that I can lip-synch or have talk with a recording, but it doesn't work when I use Mimic Pro for Carrara. What do I do need to do so it will work Mimic Pro for Carrara? A: You most likely need to put a copy of the dmc (DAZ Mimic Configuration) file for the model into your the Configuration Files folder in the Mimic Content folder, that can be found in the program (application) folder you installed Carrara or you have to direct Mimic to the where the file is. It is strongly recommended that you put a copy of the dmc files for any figures you own in the Configuration Files folder that doesn't have them. Q: Where can I get a dmc file for a certain figure? 1.) The product page on the DAZ Store for the figure will have a link to download it. (Note: If a dmc link isn't working please contact support to have it fixed. A few got messed up during the transition to the new store last year. 2.) Some are included with your instillation files for a product. 3.) Some came be gotten by going to the figure creator's website. 3D Universe's website, for example, has a section dedicated to Mimic files for the figures they sell at DAZ. 4.) Additionally, some fans have created dmc files for figures that don't have any that can be gotten on ShareCG and other sites if you do a search. For those that don't you can make your own using Mimic Pro. Q: I never purchase Mimic Po, but only purchased Mimic Pro for Carrara why is the store saying I own Mimic Pro? A: At some point DAZ decided to included Mimic Pro with the purchase Carrara plugin version. The files for it show up in your Products Library under Mimic Pro and not under Mimic Pro for Carrara. Q: Where is the Documentation for this plugin? A: You can find HTML documentation files after you install the plugin in the folder VectorStyleDocs located in the Carrara program (application) folder. The Documentation can't be accessed via Help Menu in Carrara contrary to what the Read Me for the plugin states. Q: Does it come with any examples files? A: Yes, it comes with several Carrara scene files and swf (Shock Wave Flash) files of the scenes exported in that format they can be found in the Examples folder located in the VectorStyleDocs folder that you can find in the Carrara program (application) folder after you install the plugin. Q: Do any additional tutorials and information exist on using Vector Style 2? The Documentation is very bare bones and I head that some book had some stuff on using it. A: The book The Carrara 5 Pro Handbook, by Mike de la Flour, dedicates an entire chapter to Vector Style 2. Q: Are Vector Style 2 swf files and a native Flash swf file the same? A: No, Vector Style 2 swf files are not as highly optimized and not as compact as native Flash swf files. It is recommended to keep export of Vector Style 2 files at 12 frames per second and export options simple if you plan to work with them in Flash after export. Digital Carver's Guild (DCG) makes several plugins for Carrara and has Tutorials for them on the Digital Carvers Guild Website. Q: Does a Demo version exist for them? A: You can download the plugins an try them out for free. The run in "Trial Mode" until you enter a purchased serial key. Q: Are plugin updates free? Q: How can I be informed of updates to the plugins, new tutorials, and new plugins? A: You can subscribe to the mailing list Digital Carvers Guild maintains. Q: Where is the information about getting a render node site license for use with Grid? A: You have to contact Eric Winemiller for this if you are interested in purchasing one. Got to the "Contact" section of the Digital Carvers Guild for information on contacting him about this. Q: Didn't Eric Winemiller write some Carrara Tutorials on using some of the Digital Carvers Guild Plugins that got published in a book? A: Yes, he contributed to The Carrara 3 Pro Handbook, by Mike de la Flour and The Carrara 5 Pro Handbook, by Mike de la Flour. The tutorials in the Carrara 5 Pro Handbook are ports of ones from the older book. (IMPORTANT NOTE ABOUT THE 2 BOOKS: Do be aware that if you do chose to tack down a copy of the older Carrara 3 Pro Handbook, that while you can do those 2 tutorials not in the latter version, many parts of the book that deal with other topics that require Amapi Designer 7, a program you can no longer get, and several things that the older version could do the newer can't because of changes to Carrara which are connected to Amapi. All the parts in Carrara 5 Pro Handbook can still be done and no parts of it require Amapi or features of Carrara that no longer exist in Carrara 8. Fredric Rible has created 2 fee plugins for Carrara. They are Pycarrara and PyCloid. Q: Does a Carrara 8 version exist? The PyCarrara Website indicates it is for Carrara 7. A: PyCarrara has versions for Carrara 6, Carrara 7, and Carrara 8. All the versions are in the latest PyCarra zip file. Q: I installed the plugin, but it isn't working. What can I do to get it to work? A: You need to install Python 2.6.6 for your computer Click on the link in the PyCarrara User Manual that downloads the installer you need. If you go to the Python Website you could download a different version. The plugin has in the past not worked for some people if they had a different version of Python 2.6.x installed. Q: Can I have multiple versions of Python installed on my computer? A: You can as long as they are not interfering with one another or overwriting each other. It you do install multiple versions to check and see if everything is working after you install another version Python, so you know which version(s) to uninstall and not have on your computer. Q: Does it work with Mac? A: Only a Windows version is available. Q: Does a Mac version exist? A: Only Windows versions are available. Q: Are Demo versions available? A: The ones sold on Fenric's Website can be download and the run in a "Trial Mode" until you enter a serial key. Q: Where can I get the latest version of a plugin Fenric makes? A: Reset the product if you bought the plugin from the DAZ Store, or re-download it from Fenric's Website if you bought it from his site. Q: I understand some free tutorials were done to help with using the ERC plugin, where can I find them? Q: Is Fenric's Ivy Generator similar to the free standalone Ivy Generator program Thomas Luft made? A: Yes, it is based on that program and uses things from it. Q: How do I install Ivy Generator for Carrara? I think I know where some stuff goes, but I have no idea what Src file for my version goes or what it is. A: Do the following to install it. 1.) Copy the "GenerateIvy.dat" and "GenerateIvy.mcx" and "GenerateIvy.txt" to your Carrara Extensions folder or a sub folder under the Extensions folder. 2.) Copy the Shaders for your version of Carrara to your a location you can find them in your Sharers folder in your Presets folder. On my computer I made a folder called Fenric's Ivy Generator in my Shaders folder to put them in. The SRC folders are the source code of the program (application) and only need if you want to program or change something at the program structure. You don't need to install it. Makes the aniMate aniBlock Importer for Carrara that is sold in the DAZ Store. The aniMate aniBlock Importer for Carrara is included in several different bundles. Please check carefully what each bundle has before purchasing one and comparing the price of the bundle and things in it if you already have AniBlocks. It may be cheaper to just buy the importer and AniBlocks you don't have separately or it may not be. GoFigure does have a forum dedicated to its product, but you need to register and log in for it to show all the current threads. They also have info on new products, tutorials, and FAQ about the products they make too on the site. It is strongly recommended that you check out the AniMating in Carrara part of the Information Manual, since Dartanbeck has given an extensive information with links to tutorial videos on using it. Q: Can I import my aniBlocks I made using Animate 2 in DAZ Studio into Carrara with this? Q: Does it work with Genesis? A: Genesis is supported in the Carrara 8.5 version. Inagoni makes several Carrara plugins that are sold in the DAZ Store and on Inagoni's Website. The latest version of all plugins can be downloaded from Inagoni's Website. The ones included with the installers from DAZ are not the latest versions. Downloading a newer version doesn't have any cost and no extra cost exist for plugins for newer versions of Carrara. Additionally, Inagoni Website has several free models, shaders, and tutorials for ArchiTools for Carrarra and for the plugins that are in The Advanced Pack and sold on Inagoni's Website. Q: The plugin is asking me the serial number every time I start Carrara (on Windows platform). What can I do to fix this? A: This was fixed awhile back. Download the latest version of the plugin from Inagoni's website. The version the installers for the Advanced Pack and ArchiTools for Carrara that you an download from DAZ don't, as of 02-01-2013, install the latest version. Then start Carrara once by choosing to run the program Administrator and enter the serials. Q: I purchased all the Inagoni Plugins from DAZ store and downloaded the newer version from Inagoni's Website, but I can't get Shapper to accept a serial number. Why is this happening? A: Shapper is not part of the Advanced Pack and is separate plugin sold currently only on Inagoni's Website. it has its' own serial number and doesn't use the one you got with the Advanced Pack. Q: Are Demo versions of the plugins available? A: Some have Evaluation versions that can be downloaded from Inagoni's website. They don't have some functionality as the full versions. Q: When I was working with ArchiTools I left the Model Room, went to work in another room, went back into work on an ArchiTools building and now a "fog" is around the building (model). What can i do? 1.) Try seeing if the fog vanishes when you start working on your building (model) in the Model Room. This works in most cases. 2.) Close any models you have open in the Model Room, go back to the Assembly Room, select your model you want to work on, and go back to the Model Room. Remember, closing a model in the Model Room is not the same as closing a scene in Carrara. Your previous work done in the Model Room to models is not removed just by closing the model in the Model Room. Made the Shoestring Shaders that were sold in the DAZ Store and are sold on the Shoestring Graphics Website. The Shoestring Graphics website has several tutorials and downloads links for the newest version. Q:I purchased these from the DAZ store will my serial for them work with the newest version I download from the ShoeSting Graphics Website? Q: Does a Carrarra 8 version exist for them? The ones I purchased from the DAZ Store didn't have a Carrara 8 version included of them. A: Yes, an alpha version of them is out that works in Carrara 8. The alpha Carrara 8 version can be download at no cost from the ShoeString Graphics Website. They use the same serial key (password) as the previous versions. Made free plugins for Black/White and Sand rendering with Carrara 7 & 8. They can be download for free at the the Carrara Cafe. While P3dO Photo & 3D Exploreri s not a plugin technically, it is listed with them, since it tends to be included on listings other have made of Carrara plugins. A freeware version P3dO Explorer can be downloaded and you can buy P3dO Explorer pro. Only the pro version handles Carrara. files. With the Pro version one to edit the thumbnail shown in a Carrara .car and .cb files and allows file management of them wiith the program. Sparowhawke3D has several free plugins for Carrara, tutorials for them. Several alpha versions of plugins can be found in The Laboratory area of the website. Some of the links to files on Sparowhawke3D website don't work. However, those files can be found by looking in the Indexes and Sub-Indexes for Downloads and Laboratory and that exist for the website. Q: Do they work in Carrara 8? A: Yes, beta versions can be downloaded that work in Carrara 8. Q: Does a Mac version of them exist? A: Yes, Mac versions exist for them. Q: Are they totally free? A: Yes, you can however thank the creator if you like by purchasing a DAZ or Renderosity gift certificate for the creator. See the Stuff section of Sparowhawke3D's Website for more details on doing this. Makes a LuxRender plugin for Carrara. It requires a copy of the standalone version of LuxRender. Both OpenCL and No OpenCL versions work. Q: Does a demo version exist? Q: Does it have both Mac and Windows versions? Q: What version number of LuxRender do I need. A: The most current stable build is recommended. At the time of the plugin's release 1.2.1 is the current stable version of LuxRender. So use 1.2.1 or any stable version that is higher. Q: What is the current version number build of the plugin? Q: Do Carrara plants and trees work when using Luxus to render with LuxRender? A: Yes, but the shaders they use need to be set up for Luxus. The plants and trees also need to be set up to how full details, or else the leaves wont show. Do be aware that setting up the plants and trees to show full details can slow Carrara down. Q: Can Carrara Hair be render in LuxRender when using Luxus? A: Currently the answer is no. Carrara Hair is a special shader in Carrara and LuxRender does not have a hair primitive. When LuxRender gets a hair primitive Lixus may be updated so Carrara Hair can be rendered in LuxRender. Q: Will DAZ Studio Luxus shaders work with Luxus for Carrara? A: No, Carrara shaders are different from DAZ Studio ones. Q: Carrara will not launch LuxRender when I go to render a scene. How do I fix this. 1.) If using a Mac place a copy of the LuxRender folder in the Extensions folder of Carrara. You can also click on the Lux file Carrara saves to launch LucRender. Q: Is there a way to get camera Depth of Field? Luxrender supports it but I couldn’t find a way to do it through Luxus. A: Depth of Field did not make it into Luxus for Carrara. One could edit the file xls file manually and add a couple lines to the camera section. Depth of Field to Luxus for Carrara will be added in a latter build of the plugin. Q: I'm getting no spectrum showing when working with a shader to simulate a prism. What do I need to do? A: See the Caucy B section in the LuxRender Materials Glass part of the LuxRender Wiki. Also, make sure your refection and transparency are set to white. Q: Does Luxus for Carrara have tutorial product like Luxus Pro Training which is for the Luxus plugin for DAZ Studio? Q: Can I network render scenes in LuxRender that I've sent to LuxRender using Luxus for Carrara? A: Yes, see Network Rendering in the LuzRender Wiki for details on how to network render with LuxRender. Q: Is it possible to change the default screen refresh from 12 seconds to another amount? The above line changes the screen refresh rate is changed from 12 seconds to 3 seconds For another amount just change the 3 in the above line to the amount desired. Zygock made the free plugin YAToon (Yet Another Toon Shader for Carrara). Zygock is working on a 2.0 version and you can download it and older versions. The Carrara Cafe has mirrored version of all the old version of YAToon. Q: What versions of Carrara was the plugin made for? A: Versions were made for Carrara 6, 7, & 8. Q: Is YAToon available for both Mac and Windows? Q: Is a version really out for Carrara 8? Several things I've seen indicated that the Carrara 7 version was the last version made. A: A Carrra 8 version was released shortly after Carrara 8 was released but download links to it were given on some very old forum posts and were not on the old YAToon web page that the older versions were on. Q: Multiple builds exist for some versions of Carrara. Which build do I want to install? A: The plugin got updated a few times and some of the latest builds for different versions of Carrara are Beta YAToon, Use the latest build for your version of Carrara and see how it works, you can try an older build if you have problems with it. Q: Doe the Carrara 8 version work with Carrrara 8.5? A: It works with 8.5 but the creator said in an old forum post that some things didn't look exactly right when using it with an early Carrara 8.5 Beta and that an 8.5 specific version would needed to be released at some point. Q: When I work with it in the Texture Room the color look right compared to what I'm seeing in other pictures people did with the same settings. What is going on? A: The plugin has some problems with color depending on what build you use of Carrara. The Carrara 8 version I understand has some additions to help prevent that from happening. Q: Does Zygock have any images that still exist that can show me renders done with it and didn't some movies exist that showed how it looked? A: Zygock has a gallery at Renderosity and you can find other images Zygock made if you do a web search using the terms "Zygogk" and "Carrara" or YAToon"
Zygock has an image for a render done with the newer 2.0 version and has a tutorial showing how to use it that has pictures. Wow Dart ... this is awesome. Great compilation of info. and great idea totally breaking it up with really nice artwork. I am honored by your visit, Cripeman! This whole process began as a means to index your most generous gift of video tutorials and eventually incorporate them into a manual, with links to the videos to get a better understanding. That part is coming. But, yeah... this place has really exploded into a wealth of Carrara goodness! Wow, Jay... great job on the Plugins FAQ!! !